Divorced parents often need to work together in order to provide their children with living arrangements that promote their health and growth. Both parents are urged to share in this rewarding responsibility, because this is in the best interests of the children. During a divorce parents agree to their children's living arrangements and the resulting document is called a parenting plan. Sometimes a parenting plan must be modified after a divorce is finalized and even though this process can be complicated, our experienced Bellevue parenting plan modification lawyers can help. If you are curious about whether you can modify a custody arrangement, our Bellevue parenting plan attorneys will help you focus on key aspects of the process to see if it's possible. 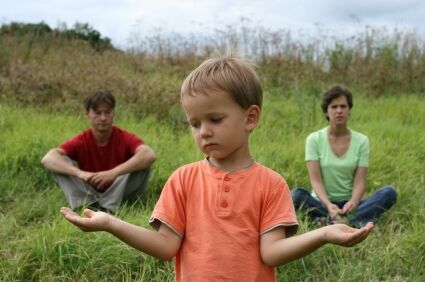 It's important to avoid animosity and conflict with your ex-spouse during this process, so our Bellevue child custody lawyers work hard to make sure that negotiations run smoothly and problems are overcome. Our Bellevue parenting plan attorneys urge parents to work together with their children's interests at heart. Most parents want to stay out of court, so our Bellevue child custody lawyers always encourage amicable negotiations and reasonable discourse. Throughout this process, our Bellevue parenting plan modification attorneys will offer you reliable counsel based upon their extensive experience handling Washington law. When parents work on a child custody agreement together, it is far more likely to be followed than if the court mandates a plan. Reaching an agreement may sometimes seem impossible, but our Bellevue parenting plan modification lawyers sometimes offer assistance by urging you to seek arbitration, mediation, or counseling. Sometimes we urge each party to design their own plan, and then work with the mediator to hammer out the details. Once both parents agree on the finer points, our Bellevue child custody lawyers will take the draft to court and request that it be approved by a judge. Whether you have been served with a notice that your ex-spouse is seeking to modify current child custody arrangements, or if you’re hopeful that an existing plan may be modified, we can help. Our Bellevue parenting plan attorneys will help you get a firm grasp the law before you take action. We offer a free consultation, so you can get more details about child custody and parenting plan modifications, according to the law. Your children deserve the best custody situation you can provide, so contact our Bellevue law office today for reliable legal counsel that ensures they have a promising future.